This fabulous bottle is just as great empty as if you fill it up! The image on it, by artist Lisa Parker, features a cat sitting upon a stack of tomes. 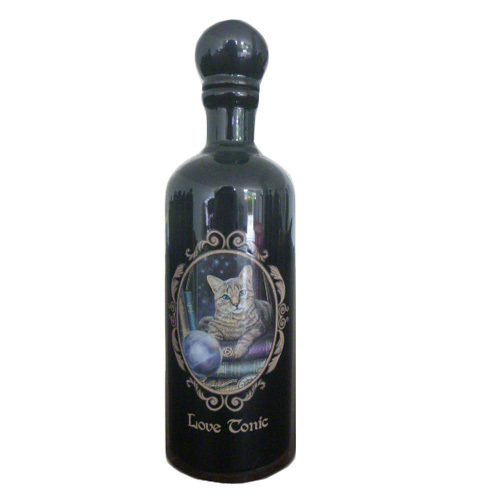 In front of the feline and the books is a crystal ball, and underneath, the label reads, "Love Tonic".